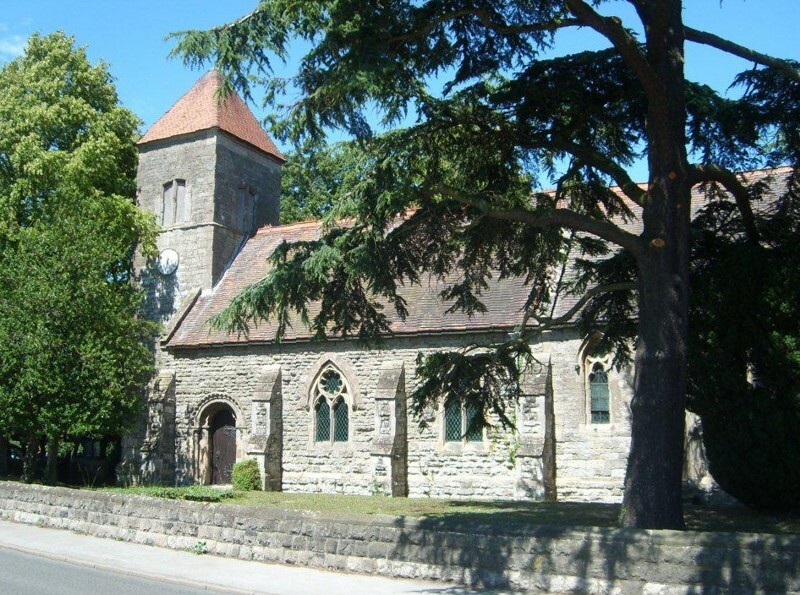 Darlton is listed in Domesday as Derluuetun but there is no reference to a church. 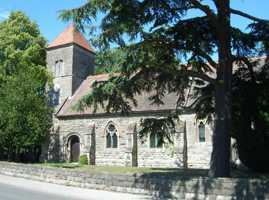 The church is built in stone, some ashlar and rough hewn ashlar, with tiled roofs. The chancel, nave and north aisle were largely rebuilt in the 19th century. The three-stage west tower and arched south doorway are c1200. With its moulded round-headed arch and dog tooth hood mould the south doorway is a particularly interesting feature of the church. The west tower, which is narrow and unbuttressed, has four belfry openings and contains three bells. The south and west side of the tower each has a single clock face. Until recently there were two brass portraits on the north chancel wall of a knight in armour and his lady, in good preservation but without inscriptions. They date from c1510 and are probaby of Sir William Mering and his wife. The brasses can now be seen at East Drayton church. The chancel has two piscinas, one with a chamfered arch in the south wall, and another with a cusped arch in the north wall. The stained glass in the east window is attributed to William Wailes. Restoration to the nave and aisles, and the addition of the pyramid cap roof to the west tower, was undertaken in 1855 by Hine and Evans. The chancel was rebuilt and completed in 1863.